It’s our goal to be your friend in the car business, someone you can truly trust when purchasing your pre-owned car. Thanks for visiting us at www.GatorsCars.com You’ll notice that we do things a little differently when it comes to the auto sales business. Since 1984 we’ve been here in Florida helping good people find good cars at good prices. We’re excited to help you find what you’re looking for! So come on out and see the best used cars in Florida. 100% Approved, No Matter What!! We offer the convenience of not dealing with a sales person (middle man) and dealing directly with Gator’s financing professionals. All of our vehicles can be bought with cash or financing and come with a basic warranty to ensure all our vehicles are safe to drive. We are a high volume car dealership and offer very competitive prices and financing on all our vehicles. Many of our customers first visit a franchise dealership only to find out after hours of the run-around they are not approved. Our process is very simple and can be done from the convenience of your home. 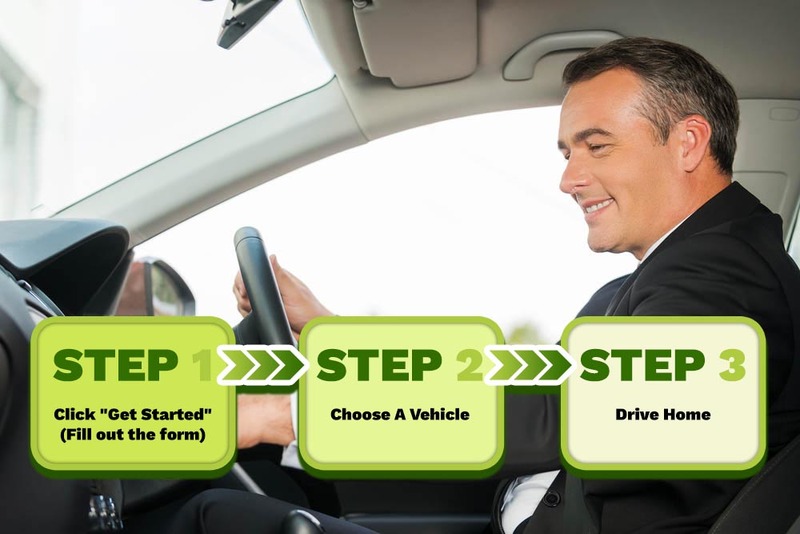 Step 3 drive home in your new vehicle that fits perfectly in your budget! We do help every situation including having multiple repo’s, credit card debt, no drivers license, please call us with any questions.